Draft: 2012, St. Louis Cardinals, CAth rd. Stephen Edward Piscotty…graduated from Amador Valley (Pleasanton, Calif.) High School in 2009 and was drafted out of high school by the Los Angeles Dodgers in the 45th round, but did not sign…played college baseball at Stanford University and was drafted by the Cardinals after his junior season…was a supplemental pick following the first round as compensation for the loss of free agent Albert Pujols…completed his degree at Stanford during the 2014 off-season in Atmosphere and Energy Engineering…was First Team All-Pac 10 in 2011 and 2012, honorable mention All-Pac 10 in 2010…started all 172 games in his college career…in 2012 was named a third team All-American by Baseball America as utility player serving as infielder/outfielder/pitcher… was named the 2018 recipient of the Tony Conigliaro Award, which honors a "Major Leaguer who has overcome adversity through the attributes of spirit, determination, and courage that were trademarks of Tony C."…played in the Alaska Summer League in 2010 and won the Cape Cod League batting title in 2011 with a .349 batting average…was an Olerud Award Finalist in 2012; The John Olerud Two-Way Player of the Year Award is presented annually by the College Baseball Foundation to honor the nation's top combo pitcher-position player. Batted .267 with 41 doubles, 27 home runs and 88 RBI in 151 games in his first season with Oakland…had career highs in doubles, home runs, RBI, extra base hits (68), total bases (268), sacrifice flies (5) and grounded into double plays (21) and matched his high in hit by pitches (12) but his .331 on-base percentage was a career-low…his 41 doubles tied for ninth in the American League and tied for seventh in Oakland history…tied for second in the AL and tied for ninth in Oakland history in grounded into double plays…tied for sixth in the AL and tied for eighth in Oakland history in hit by pitches…hit .236 with 14 doubles, three home runs, 24 RBI and a .350 slugging percentage over his first 58 games through June 12…then batted .286 with 27 doubles, 24 home runs, 64 RBI and a .574 slugging percentage over his final 93 games beginning June 13…ranked second in the AL in extra base hits from June 13 through the end of the season, tied for second in home runs, fourth in slugging, fifth in OPS (.926), tied for fifth in doubles and tied for seventh in RBI…batted .279 (106-for-380) against right-handed pitchers, .241 (40-for-166) against lefthanders…hit 17 of his 27 home runs on the road but had 29 of his 41 doubles at home…set an Oakland record for doubles in the Coliseum, breaking the previous mark of 25 by Jed Lowrie in 2017…17 of his 27 home runs were solo shots…ranked second in the AL in doubles in the seventh inning or later (18), fourth in slugging (.593), tied for fourth in home runs (12) and seventh in OPS (.953)…had a .758 OPS over innings 1-6…is a .291 career hitter with a .908 OPS in the seventh inning or later compared to .257 with a .743 OPS in innings 1-6…batted .311 with runners in scoring position and is a .330 (132-for-400) career hitter with RISP…hit .303 with a .598 slugging percentage when leading off an inning…appeared exclusively in right field where he played in 151 games, including 148 starts…the games played tied for second most in Oakland history by a right fielder (Tony Armas, 153 in 1990) and the games started were third most…committed three errors and his .989 fielding percentage was fifth best in Oakland history by a right fielder… tied the Oakland record for doubles by a right fielder (Ben Grieve, 1998)…also went 0-for-1 with a walk and strikeout as a pinch hitter…is now 5-for-13 (.385) with four walks (.526 on-base percentage) in his career in the pinch…started games in every spot in the batting order except first and ninth for the second consecutive season…made a team-leading 64 starts batting sixth and hit .299 with 17 doubles, 19 home runs and 52 RBI from the six spot…led Major League six hitters in home runs, RBI and extra base hits (36) and tied for the lead in doubles…the home runs tied for second most in Oakland history (Steinbach, 20 in 1996)…averaged 5.31 plate appearances per strikeout, which was the best mark of his career. OAKLAND: Was the A's Opening Day starter in right field and went 7-for-36 (.194) over his first 10 games through April 8…then reached base safely in 17 consecutive games from April 10-29, which was the longest reaching base streak of his career at the time…hit .328 with a .400 onbase percentage during the streak…was hit by a pitch twice on April 24 at Texas to tie an Oakland record (36th time, last: Mark Canha, Sept. 16, 2017 at Philadelphia)…batted .294 in 24 games in April but then hit .160 in 22 games in May…was batting .248 with two home runs and 13 RBI in 34 games when he was placed on the bereavement list May 11 following the passing of his mother, Gretchen…was reinstated May 15 and homered over the Green Monster on a 0-2 pitch in his first at bat following his return that night at Boston…would go 7-for-44 (.159) over his next 13 games and was batting .225 over his first 48 games through May 30…then reached base safely in a career-high 23 consecutive games from May 31 to June 26…hit .316 with a .411 on-base percentage during the streak…batted .303 in June…tied an Oakland record with three doubles on July 4 against San Diego…it was the 29th three-double game in Oakland history but the second of three in 2018…homered in a career-high four consecutive games from July 7-10 and hit .306 with seven home runs and 14 RBI over a 14-game stretch from July 7-24…had an 11-game hitting streak from July 7 to 21 (15-for-47, .319)…went 16-for-80 (.200) with a home run and three RBI over a 21-game stretch from July 25 to Aug. 19…hit .273 in July and 16 of his 27 hits were for extra bases (eight doubles, eight home runs)…tied for fourth in the AL in home runs in July, tied for fifth in extra base hits and tied for sixth in doubles…the home runs are his most ever in a month…doubled off Bartolo Colon in the second inning Aug. 20 against Texas for his 100th career double…that began a 29-game stretch through Sept. 20 where he hit .343 with seven doubles, 11 home runs, 32 RBI and a .713 slugging percentage…had a career-high and A's season-high tying 14-game hitting streak from Aug. 29 to Sept. 13…hit .373 (19-for-51) with six home runs and 18 RBI during the streak…had two home runs and five RBI Sept. 2 against Seattle…it was his third career two-homer game and his third career five-RBI game…his fourth five-RBI game came on Sept. 20 against Los Angeles (AL) and he drove in four runs the next day against the Angels… hit .310 with 21 runs, five doubles, eight home runs and 25 RBI in 25 games in September…led the AL in RBI, tied for third in runs and tied for fourth in home runs…the RBI were the most by an Athletic in September since Frank Thomas had 31 in 2006…the runs and RBI were his most ever in a month and the home runs matched his most (July, 2018)…went 0-for-3 with a walk in a start in right field in the Wild Card game at New York on Oct. 3. Batted .235 with nine home runs and 39 RBI in 107 games in a season interrupted by two stints on the disabled list…missed a total of 28 games due to injuries and another five for personal reasons…drew a career-high 52 walks for a .342 on-base percentage…was 3-for-9 (33.3%) in stolen base attempts and is 12-for-24 (50.0%) in his career…batted .235 (65-for-277) with eight of his nine home runs against right-handed pitchers, .234 (15-for-64) against left-handers…hit .260 with eight of his nine home runs on the road compared to .208 at Busch Stadium…his average improved slightly to .259 with runners in scoring position…now has a .338 (5-for-281) career average with RISP…had a .209 batting average over the first six innings of a game but then hit .284 with five of his nine home runs and 19 of his 39 RBI in the seventh inning or later…hit .333 with three of his nine home runs in the ninth inning…four of his nine home runs either tied the game or put the Cardinals ahead as have 14 of his 33 career home runs…made 92 starts, all in right field…committed two errors in 99 games overall in the outfield (.988 fielding percentage) and had five assists…went 4-for-7 (.571) with two walks, a hit by pitch, a double and two RBI as a pinch hitter…is a .417 (5-for-12) career hitter in the pinch with three walks, two doubles and three RBI…started games at every spot in the order except first and ninth and made his most starts batting third (32). ST. LOUIS: Was the Cardinals Opening Day starter in right field for the second consecutive season and went 1-for-3 with two walks against Chicago (NL) on April 2…signed a six-year contract through the 2022 season with a club option for 2023 on April 3…hit his first home run of the season and matched his career high with five RBI April 12 at Washington (also Aug. 23, 2015 at San Diego)…batted .229 in 22 games in April and was hitting .241 with two home runs, 11 RBI and 16 walks (.378 on-base percentage) in 25 games when he was placed on the 10-day disabled list May 5 with a strained right hamstring…was sent to Double-A Springfield May 16 on a rehab assignment and went 1-for-7 (.143) with a RBI and a walk in three games (two in right field, one at designated hitter) before he was reinstated from the DL May 20…went 3-for-19 (.158) over his first five games following his return before missing five games from May 26-30 for personal reasons…hit .417 (10-for-24) with two home runs and five RBI in his next eight games from May 31 to June 7…committed his second and final error of the season June 4 at Chicago (NL)…finished the season with a 65-game errorless streak…had his second career two-homer game June 18 at Baltimore (also Aug. 23, 2016 at San Diego)…then had a career-high 27-game homerless streak from June 20 to Aug. 20…the two-homer game started a season-best six-game hitting streak through June 24…went 7-for-21 (.333) with two home runs and six RBI during the streak…hit .175 over his final 12 games before the All-Star Break and then went 0-for-4 in his first game after the break July 14 Pittsburgh…was placed on the 10-day disabled list the next day with a strained right groin…was sent to Single-A Peoria on a rehab assignment July 27 and went 3-for-15 (.200) with two doubles and three RBI in four games (all in right field) before he was reinstated from the DL Aug. 1…went 3-for-17 (.176) in his first six games following his return and was optioned to Triple-A Memphis Aug. 7…hit .313 with four home runs, seven RBI and six walks (.421 on-base percentage) in eight games with the Redbirds before returning to St. Louis for good Aug. 20… batted .242 with three home runs and eight RBI in 32 games following his return…had a .333 average over his first 16 games but then hit .160 over his final 16…snapped a career-high 0-for-19 streak Sept. 30 against Milwaukee with an eighth inning game-tying two-run single to complete the Cardinals largest comeback of the season…overcame a 6-0 deficit and he later scored the winning run in a 7-6 St. Louis win. Began the season on the Opening Day roster and played in a team high 153 games, making 136 starts in right field and nine starts in centerfield...Was selected as the Cardinals nominee for the Hank Aaron Award which is given annually to the top hitter in each league...Chosen as the Cardinals representative for the MLBPAA "Heart and Hustle" Award...Led the Cardinals with 153 games, 582 at-bats, 86 runs scored, 85 RBI, 10 game-winning RBI, 266 total bases and 12 hit by pitch. Tied for the team lead with seven stolen bases...Ranked 2nd (Prado, MIA, .368) in the National League with a .363 batting average with runners in scoring position...Hit two grand slams during the season, the first off Max Scherzer at WSH (5/27) and the second off Blaine Boyer vs. MIL (7/3). Batted .455 (5-11) with bases loaded in 2016 and was one of 17 players with multiple grand slams...Matched his career-high with four hits twice (4/27 at ARI & 5/8 vs. PIT)...Established single-game highs with three runs (4/25 at ARI, 5/7 vs. PIT and 5/12 at LAA)...Had a nine-game hitting streak (9/3-11) batting .379 (11-29) during the streak...Batted .346 (36-104) during the month of May, ranking 10th in the National League in average and 6th in the N.L. with 36 hits...Hit a pair of doubles three different games (4/11 vs. MIL, 5/19 vs. COL & 6/12 at PIT)...Smashed a go-ahead three-run home run in the 8th inning at CHI (8/14) on Sunday Night Baseball to give the Cardinals a 4-3 lead and an eventual 6-4 win...10 of his 29 career home runs have tied the game or given the Cardinals the lead...His .481 BA (13-27) vs. Arizona was the highest among all MLB opposing players...Hit 13 of his 22 home runs at Busch Stadium, tied with Brandon Moss for the most in 2016. Also led with 49 RBI, 86 hits and 41 runs scored at Busch Stadium...Had 37 two-out RBI, leading the team and ranking 6th in the National League. Rookie outfielder was purchased on 7/21 from Memphis (AAA) and started that night in left field at CWS, collecting his 1st Major League hit…Finished out the season playing in 63 of the team's final 70 games after his purchase…Received recognition in the 2015 National League Rookie of the Year voting by the BBWAA…Named the organization's Minor League Player of the Year…Was co-Rookie of the Year selection by St. Louis BBWAA along with teammate Randal Grichuk…Had hits in 47 of his 62 games with an at-bat with 18 multi-hit games…Collected 26 extra-base hits, ranking T16th in the National League among rookie players…Batted .305 (71-233), T22nd-best average in the N.L. post All-Star break…Batted .393 (24-61) in RISP situations, the 2nd-highest average on the team, with 29 RBI…Had 7 GWRBI, T4th-most on the team and T6th among N.L. rookies. His 9 go-ahead RBI were T10th among N.L. rookies…23 of his 39 RBI came with 2-outs, T2nd most (Peralta) on the team behind Wong (25)…Was knocked unconscious in a violent collision with outfielder Peter Bourjos in left-centerfield on 9/28 at PIT. Was carted off the field and remained overnight in hospital for observation. Suffered head contusion/concussion and missed 3 games (5 days) before returning to the lineup…Hit safely in his first 10 games started (.412), the longest such streak for a St. Louis rookie since John Rodriguez (2005)…His sac fly on 7/25 vs. ATL was his 1st MLB RBI and the game-winning RBI in a 1-0 win….Collected hits in 12-straight games 8/23-9/5 (.412, 21-51), matching M. Carpenter for a team season high and it was thelongest by a STL rookie since Jon Jay (2010). Had 3-2B, 2-3B, 2-HR and 13-RBI during his streak…Hit his first Major League home run on 8/16 vs. MIA off Chris Narveson…Had his 1st career 2-homer game (also tripled) on 8/23 at SD with a career high 5 RBI…Had a career high 4 hits on 8/29 at SF, reaching base in all 5 PA's (BB, 3-1B, 3B)…At Memphis batted .272 (87-310) with 11 home runs and 41 RBI in 87 games…Hit 2nd in half of his Triple-A starts and batted .311 with 13 doubles from that spot…Had hits in 10-straight games 5/24-6/2 (16-43, .372); six of those were 2-hit games including his last 5 games during the streak…Batted .313 (30-96) in June and .298 (14-47) in July before his call-up….Had 10 hits (28 ABs) and hit .357 when batting with RISP and 2 outs at Memphis…Named the 7th-best prospect in the Pacific Coast League by Baseball America. Played in 112 games between Palm Beach (A) and Springfield (AA) compiling a .295 BA with 15 HR's and 59 RBI...Named to the Florida State League All-Star South Squad, batting .286 with 7 HR and 28 prior to the All-Star Break...Was the starting right fielder playing the entire game and went 1-for-5 with a solo home run in the 5th inning...Tallied three multi-home run games (4/7 at Charlotte; 5/10 at St. Lucie; 6/18 at Fort Myers)...Hit safely in 77 of 112 games on the season with 35 multi-hit games, 13 of which were three-hit games...Played for Salt River in the Arizona Fall League and made the AFL All-Prospects team batting .371 with 1 HR and 18 RBI while successful in 7-of-9 stolen base attempts. Finished season on a 12-game hitting streak (.408, 20-49)...Was named Arizona Fall League Player of the Week Oct. 15-22, batting .364 (8-22) with 3 RBI and six runs scored...Hit safely in 19-of-23 AFL games, recorded an RBI in 14-of-23 games and scored a run in 15-of-23 games...Was tied for league lead with three triples and ranked among the league leaders in batting (.371, 4th), hits (33, T2nd), runs (20, 3rd), games (23, T4th), at-bats (89, 5th). Led Salt River with a .936 on base+slugging percentage...Named as the No. 4 prospect in the Cardinals organization by Baseball America. Rated as the "Best Outfield Arm" in the Cardinals organization by Baseball America's "Best Tools" survey. Played in 55 games at Quad Cities in his first professional season, starting 36 at third base ... batted .328 (22-67) with runners in scoring position ... hit safely in 40-of-55 games with 16 multi-hit efforts ... tied for team-high hitting streak hitting safely in 16 straight games (8/11-27) ... rated as the 10th-best prospect in the Cardinals organization by Baseball America...named the "Best Outfield Arm" by Baseball America's "Best Tools" survey. 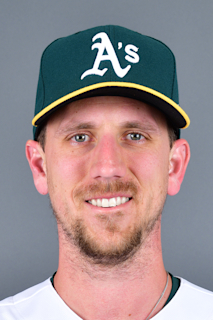 May 15, 2018 Oakland Athletics activated RF Stephen Piscotty from the bereavement list. May 11, 2018 Oakland Athletics placed RF Stephen Piscotty on the bereavement list. December 14, 2017 St. Louis Cardinals traded RF Stephen Piscotty to Oakland Athletics for 2B Max Schrock and 3B Yairo Munoz. August 20, 2017 St. Louis Cardinals recalled RF Stephen Piscotty from Memphis Redbirds. August 7, 2017 St. Louis Cardinals optioned RF Stephen Piscotty to Memphis Redbirds. August 1, 2017 Stephen Piscotty roster status changed by St. Louis Cardinals. July 27, 2017 St. Louis Cardinals sent OF Stephen Piscotty on a rehab assignment to Peoria Chiefs. July 15, 2017 St. Louis Cardinals placed RF Stephen Piscotty on the 10-day disabled list. Strained right groin. May 20, 2017 St. Louis Cardinals activated RF Stephen Piscotty from the 10-day disabled list. May 16, 2017 St. Louis Cardinals sent RF Stephen Piscotty on a rehab assignment to Springfield Cardinals. May 5, 2017 St. Louis Cardinals placed RF Stephen Piscotty on the 10-day disabled list. Strained right hamstring. July 21, 2015 St. Louis Cardinals selected the contract of RF Stephen Piscotty from Memphis Redbirds. February 4, 2015 St. Louis Cardinals invited non-roster RF Stephen Piscotty to spring training. April 1, 2014 RF Stephen Piscotty assigned to Memphis Redbirds from Springfield Cardinals. January 21, 2014 St. Louis Cardinals invited non-roster RF Stephen Piscotty to spring training. July 27, 2013 Springfield Cardinals activated RF Stephen Piscotty from the 7-day disabled list. July 13, 2013 Springfield Cardinals placed RF Stephen Piscotty on the 7-day disabled list. June 22, 2013 RF Stephen Piscotty assigned to Springfield Cardinals from Palm Beach Cardinals. April 18, 2013 Stephen Piscotty roster status changed by Palm Beach Cardinals. April 11, 2013 Palm Beach Cardinals placed 3B Stephen Piscotty on the 7-day disabled list. April 3, 2013 3B Stephen Piscotty assigned to Palm Beach Cardinals from Peoria Chiefs. March 2, 2013 3B Stephen Piscotty assigned to St. Louis Cardinals. June 28, 2012 3B Stephen Piscotty assigned to Quad Cities River Bandits from St. Louis Cardinals. June 16, 2012 St. Louis Cardinals signed 3B Stephen Piscotty.